Professional Arborists based in Whitstable, Kent Providing high quality tree care with a friendly and reliable service that you can trust. We are an independent family run business and pride ourselves on our personal service and high quality of work. All of our team are highly skilled, fully qualified and experienced in all aspects of arboriculture. Our high quality of work has gained us many 5* reviews, why not take a look for yourselves. At tree-tek we are all passionate about what we do and our aim is to give you as much peace of mind as possible, from start to finish. 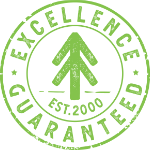 Our team of arborists are all qualified to the NPTC standard (National Proficiency test council) and are fully skilled in their relevent areas so rest assured you are in good hands. - We pride ourselves on our very high standards of workmanship and our wealth of knowledge and experience which shows in our work and 5 star reviews.